Home / Article / Featured / Trending / E3 conference 2018 generates over 16 million hour watch time. Checkout the top 5 most streamed channels during the event. E3 conference 2018 generates over 16 million hour watch time. Checkout the top 5 most streamed channels during the event. The E3 conference 2018 live has come and gone with over 70,000 people as audience. 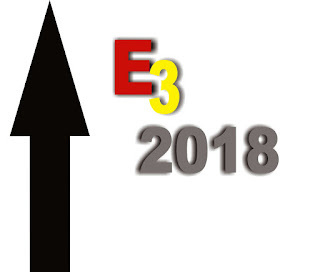 The annual event which took place in June 12-17 at the Los Angelos convention centre has the biggest publisher, hardware and software makers in the video game industry gather to meet one on one with their fans and possibly interest with them on their activities so far as well as their prospect. There were many press conferences by top game companies that attended the conference, we cannot actually single one out to say it stands as the best E3 conference 2018 , but we categorized the best according to the number of viewers it had. Take the issue of Nintendo E3 2018 conference youtube press conference for example, even at the size of the company it was still ranked at the 8th position. All gave a issued a press conference which was also on live streams on each streaming platforms, but as per the views, there are still some heavy weights in the industry that their fans has proven die-hard which led to them receiving the highest streaming views. It was recorded from the Newzoo video Game Tracker that that Top 5 companies that held press conferences generated over 16 million hours of viewership across the event. 1. Microsoft – the Microsoft E3 press conference was recorded to have the highest views with exactly 1.6 million viewers glued to their twitch channels. Obviously, the Xbox owners did not disappoint as they covered 50 games including shooter, race, and strategy games. Among the excitement at the press conference, the company as well announced their upcoming first-party title Hola Infinite and Gear 5 as well as CybeJunk 2077 and Fallout 76 - all tagged as a third party big hitters. 2. Ubisoft – this emerged as a second runner-up after Microsoft with a viewership range of 1.5 million views. Just like they counterpart (Microsoft), they did not disappoint their fans either. The featured some fan favorite shock busters like Beyond Good and Evil 2, The Division 2 (Tom Clancy) and Assassin’s Creed Odyssey. 3. Sony – Sony (PlayStation) came 3rd on the list of 1.4 million views. Their press conference didn’t quite feature much on their catalog as the company focused solely on just four exclusive titles. The first was The Last of Us Part 2 which has been tagged as the last generation’s video game. 4. Bathesda – after Sony comes Betherda with 1.3 million views. Amongst the featured games where Fallout 76, and Rage 2, the company also went ahead to give other details about other of their franchise. On the other hard it must be noted that both Sony and Bethesda press conference took place same time at exactly 3:00 am CET which was actually a bad timing because almost half of Europe was still in bed. Secondly, it might have also affected the viewership of both companies because fans will have time making a choice. 5. Square Enix – the company recorded 1.1 million views with an average 0.7 million hours spent on June 17th. It might also be worthy to note that companies like Electronic Art (EA) occupied the 6th position with 1 million views and 1.4 million hours. PC Gaming Shows 7th with 1.9 million views and 700k hours, Nintendo (surprisingly) took the 8th position with 1 million hours. Limited Run Game 10th with 6k views, 5k hours. during the course of the event there were also some games that triggered a hype on online streaming , those include: EA’s plat former Unreal 2 which recorded 445k hours, captain spirit with 401k hours and the demo of the latest released Life Is Strange 2 which came out July 10. Others include Capcom’s Resident Evil 2 with 445k views and some other wonderful game that made the list. Next we will have to come back with another story on the post E3 activity. Till then stay a Gamer!